How to Arrive at Position Sizing? 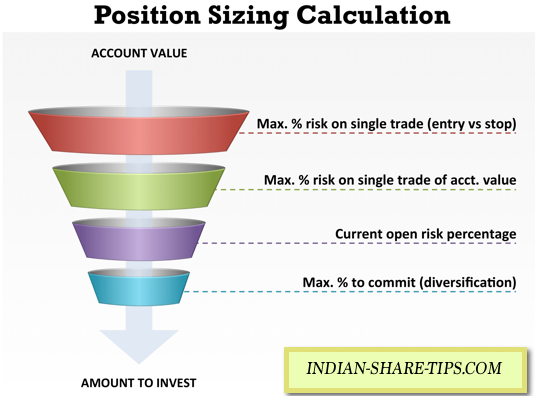 As per Investopedia, the Position sizing basically refers to the size of a position within a particular portfolio, or the Rupee amount that an investor is going to trade. Simply it means that The Rupee value which is being invested into a particular security by an investor. An investor's account size and risk tolerance should be taken into account when determining appropriate position sizing. Have a look at below video on Position sizing which will always help you to trade with financial wisdom and remember to subscribe for free share market tips and make money like professionals.